Pedography is the study of pressure fields that operates between the plantar surface of the foot and a supporting surface. The Plantar Pressure Pedography System emed offered by us is a measuring tool that helps in early recognition of the varied pressure patterns in the person suffering with neuropathy. The tool is also known as foot pressure measurement system. It is used for biomechanical analysis of posture or gait. 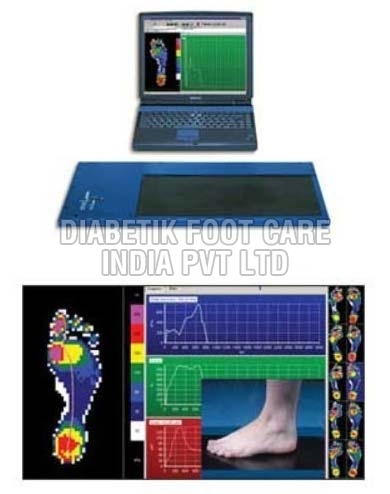 The system helps to detect the walking pattern of the neuropathic forefoot, Charcot foot, and the typical diabetic patient foot pattern. Our highly advanced Plantar Pressure Pedography System is made by Novel Gmbh, Germany and we are their authorized distributor in India to market them in India.